St. Patrick’s Day is one of those holidays that we all celebrate just to have fun. It doesn’t matter if you are truly Irish; the day is spent wearing green, enjoying green, giving kisses, and generally acting ridiculous! It seems to be one of those days where adults are all 21 again - meaning pregnancies tend to occur! haha and where kids believe in pots of gold... While we do have plenty of Irish in us, we just enjoy having fun with the kids throughout the day, and then handing them over to a babysitter for the evening! Truth be told, we may have conceived a child or two over the years on this lucky holiday. 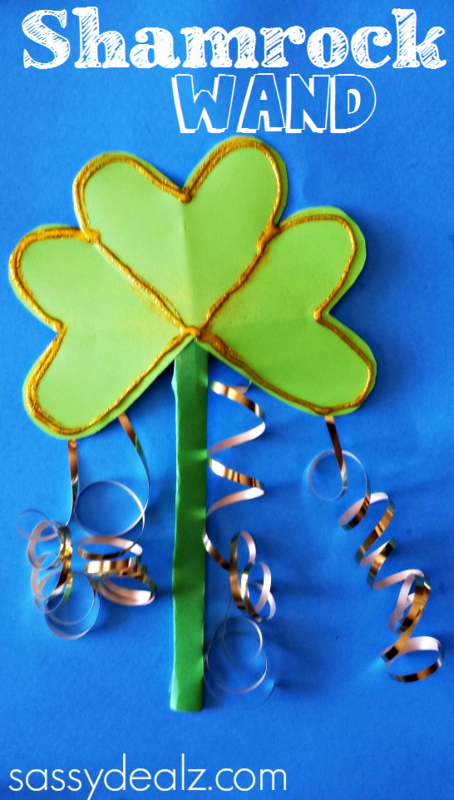 Now that we have kids of the crafting age, we will be decorating the house with all things St. Pat's! 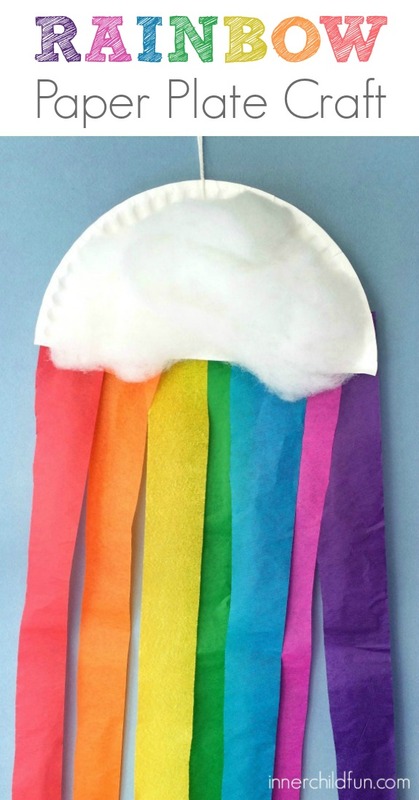 Rainbow Plate This craft is great for toddlers to young children. Pulling apart cotton balls and gluing them down is a great fine motor skill. So is cutting strips of paper. 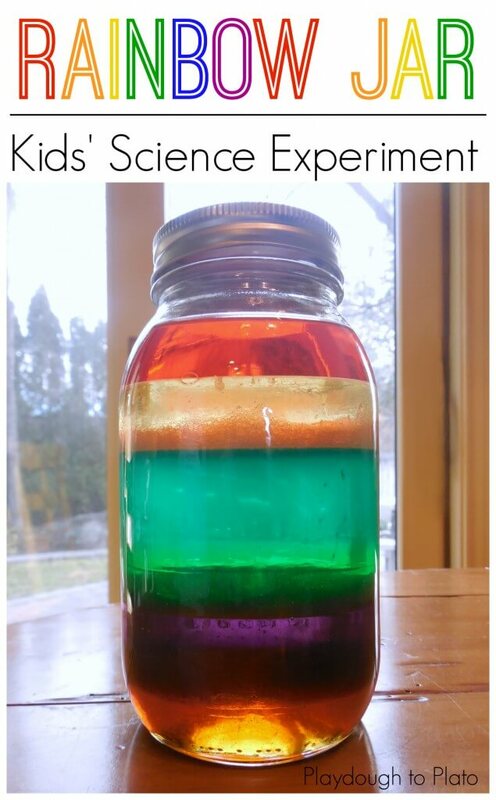 If you child isn't ready to cut, then you can pre-cut the rainbow pieces. 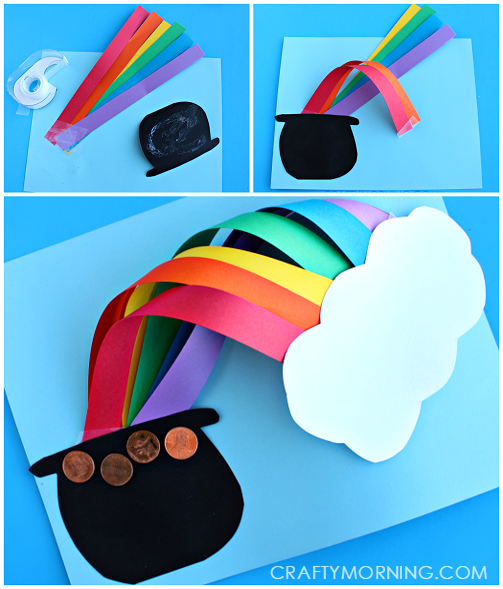 I love that you can make this craft ahead of time and your child can wake to find a little pot of "gold" beneath it on St. Patrick's Day! 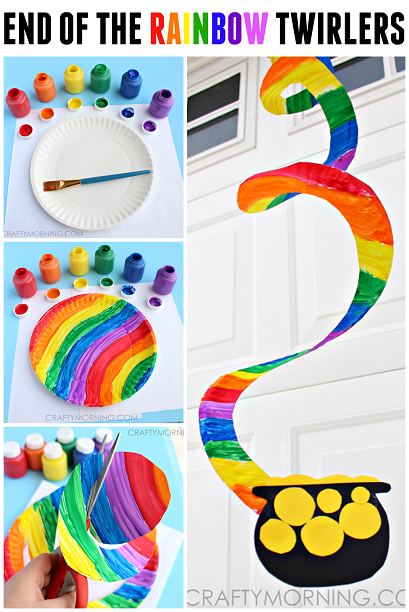 Rainbow Chain Another great rainbow craft - because you can never have too many rainbows. Wind Catcher This could be one of my favorites, and I see this being made several times a year for our backyard! Rainbow Twirler You can get as creative as you'd like with this one. 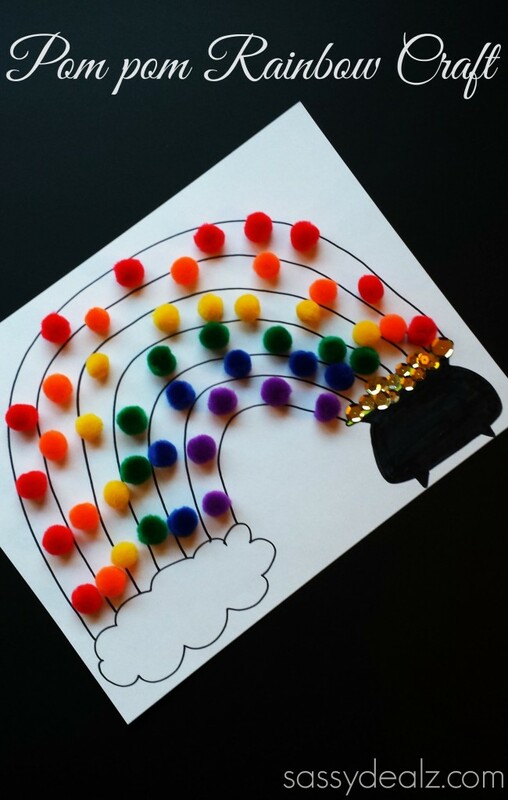 3-D Rainbow Teaching the order of colors in the rainbow, and creating a 3D picture will make for a fun activity. Printables Do you have a child who loves to color? There are tons of free printables to celebrate the holiday! learning something. Heart Stamped Clovers Make sure that you tape the toilet paper roll into shape because it'll change shape (causing frustration) if not. We made Valentine's hearts with these and they came out great. Play Dough Yes, you can take green play dough and add glitter... but that would not be as much fun! 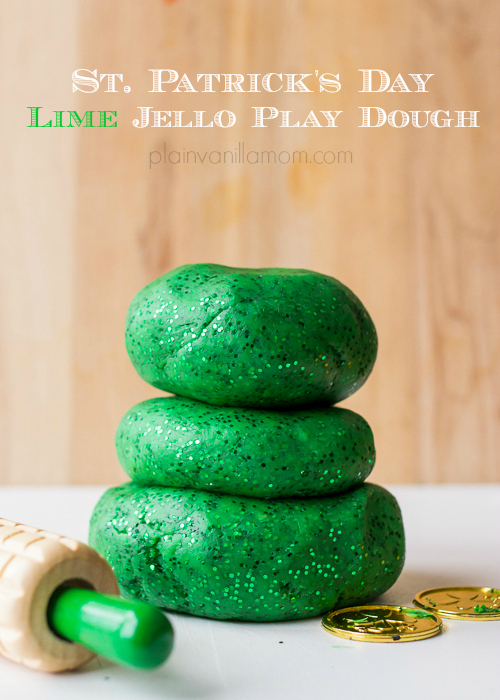 Homemade play dough contains zero chemicals and is easy to make! Shamrock Wand Any other "Magic Wand Loving Children" out there? My children - yes, my boys too- love wands. Adding ribbons for movement, glitter for sparkle, and green for the holiday will have everyone smiling! The Painted Leprachaun This one looks like it *may* turn into a huge mess... especially with a toddler. BUT - it would also be a great lesson in explaining that artists think outside of the box. 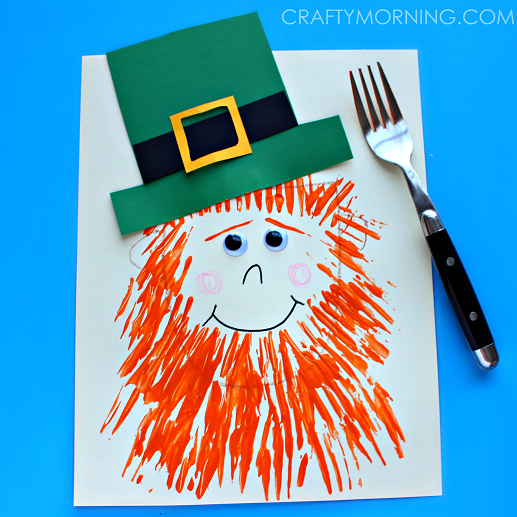 By using a fork instead of a paintbrush, the artwork takes on a look that wouldn't be obtained any other way! Pom Pom Rainbow I have a two year old who is learning his colors, and this craft will be fun. Glue dots and glitter will help keep the focus.